Thanks, PJ and Andrea, for hosting me at The Romance Dish today! 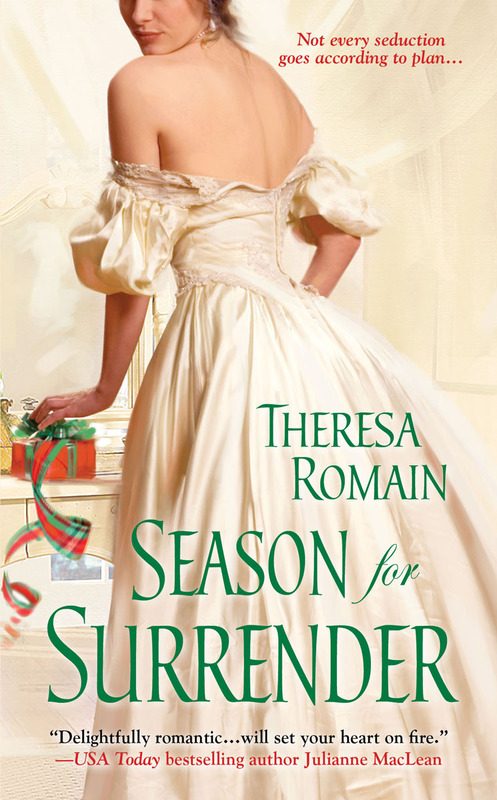 I’m excited about the release of my second historical romance, SEASON FOR SURRENDER: the story of a whip-smart bookworm and a fake-rake earl. Before the story starts, the heroine, Louisa Oliver, has been through an awkward London season and a broken engagement of convenience. Her family was dragged through a scandal—and she blames the hero, Lord Xavier, for spreading the gossip. As far as Xavier knows, Louisa is the only person in England who’s not delighted with him. The life of every party and the center of every bet, he is used to living at the heart of society. But it never touches his heart in return; in fact, he has started to wish he could drop his act and admit to the world what he is really like. When Louisa and Xavier are thrown together at a notorious Christmas house party, her animosity soon turns into curiosity. This supposed rake treats her with great courtesy and seems to know a great deal about books. Yet he’s confident in a crowd—and over the course of the house party, Louisa learns a few tricks about finding her own courage. Xavier, meanwhile, must listen to his long-unused heart if he’s going to shed his dreadful reputation and win the love of a good woman. So I guess it’s fitting that a man behind the curtain—or to be more accurate, hidden behind encoded pages—helps them earn what they need most. Though they begin the house party as uneasy foes, they soon begin to work together in Xavier’s library. They find an encoded book of Xavier’s family history, written by an unknown historian from a past generation. Louisa is intrigued by the puzzle of it; Xavier wants to know more about his long-gone relatives. The encoded book gives them a reason to make peace. Soon, as they spend time together, they begin to appreciate qualities in each other that society has never seen. Which is good, because when the encoded book reveals its secrets, they’re going to need to trust in their newfound strengths and each other. Now it’s your turn, readers: what gift would you wish for more of? I wouldn’t mind more courage, though since I have a toddler, I could also use infinite patience! Tell us what you’d want most; I’m offering a signed copy of SEASON FOR SURRENDER to a random commenter, open internationally. Hi Andrea, PJ and Teresa! I was thrilled to find out Teresa was on The Romance Dish today! I loved Season for Temptation when last October and am thrilled that Season for Surrender is being released this month! Reading Teresa's books are better than Halloween candy! Christmas is my favorite holiday of the year and now I not only get to read another one of Teresa's books and it's also the perfect book to get me in the holiday spirit! Teresa - What made you decide to write a book taking place during the holiday season and what is your favorite thing about the holidays? For me the best gift I look forward to each year is to be able to spend it with my grandchildren! To me there's nothing better than seeing the joy and wonder on a child's face on Christmas morning! My first book was released as a Christmas story, and that started the ball rolling. My editor saw a Christmas follow-up as a natural next step. Louisa and Xavier's story was a good fit for Christmas since it's about redemption and finding one's way. Thanks for sharing your favorite gift! Spending time with family is one of my favorite things about the holidays too. We're pretty spread out across the country, and Christmas is one of the few times we can meet up. Teresa - Our family is spread out as well from New England to Denver to Arizona so we always treasure the times at Christmas we have been able to share together - just not at the same time! This year we're going to spend the holiday with our younger son and his family in South Carolina and can't wait to see our grandcildren especially since it's been a year since we've seen them! PJ - Do you need a helper on the blog? I'd be more than happy to help you out when you get books like Teresa's! It's a tough job but I'm up to it! SEASON FOR SURRENDER looks wonderful. I could definitely use more patience. More ME time as well. Mary, I hear you! That "me" time is precious, isn't it? I have a lot of patience but I sure could use pointers on how to make more "me" time. Christmas is one of the only two times a year I get to see my daughter and granddaughter so it is one of my favorite holidays. I also love bookworms! Can't wait to read about the fake rake. Dianna, that must make it a special time of year for your daughter and granddaughter too. Thanks for stopping by--hope you enjoy reading about the bookworm and fake rake! Eli, any wish that ends with a library sounds good to me! :) Isn't that a beautiful cover? My publisher does great artwork. I agree on the cover of SEASON FOR SURRENDER. Beautiful! 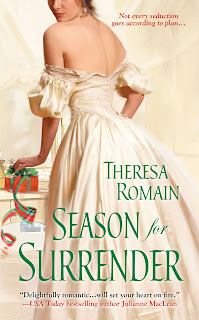 Congrats on your new release Theresa and Season for Surrender sounds lovely! :) I think I would wish for the gift of more patience and confidence. I like things to happen when I want them to happen and not terribly good at waiting, lol. Lisa said, I like things to happen when I want them to happen and not terribly good at waiting, lol. I think that's a challenge for many of us, Lisa. I experience it every time I'm waiting for a much anticipated book to be released! lol! Hi, Teresa! I really enjoyed Season for Surrender, and I'm delighted that Jane is getting her own story. Janga, thanks--I'm so glad you liked Season for Surrender. And I agree, I'd like more time too; I've often wished for one of those Time Turners used in the Harry Potter books. I honestly wish I had more patience. I have a 5 year old and boy do I have my hands full. This book sounds great and I added it to my TBR list. Congrats on the new release!! Welcome! Sorry I'm just getting here. I had two early doctor appointments today. Andrea is working but she'll pop in later today when she gets home. I really do wish that I didn't worry so much. I worry about the slightest thing, and sometimes end up a nervous wreck. I just want to be happy and carefree, and be able to shrug things off without obsessing about them. Congratulations on your new release Theresa, I love your books, and would love to read this. Diane, I'm a worrier too, and I wonder if lots of writers are since we're used to thinking about possibilities. It's hard to shut that off when I jump from my work in progress back to real life. Wishing you lots of calm! Thanks for stopping by--glad you enjoyed my last book. Diane, wishing you happier, calmer days ahead. It's hard to turn off that worry gene but, I know this from experience, it can be done. Theresa, as you know I've loved your first two books. Are you at liberty to tell us what's coming next? PJ, you're so kind! Thanks for asking. I'm working now on a story for Jane, Xavier's cousin, who readers will meet in Season for Surrender. There are other projects in the works, too--I should be able to announce more details soon. I'm so excited Jane will be getting her own story! More sleep would be good for me! But I think someone up there is also trying to teach me patience. Winnie, more sleep sounds good! When I get more sleep, I have more patience. The question is, how to squish in more sleep? This is where those Time Turners would come in handy again. I would like the gift of more willpower when it comes to diet and exercise! Cheryl, how true! A better diet, and more exercise, are always goals that I strive for too. Maybe one of these days I'll even meet them? Maybe? Bueller? Cheryl, that's something I need a double dose of, especially after seeing full-length photos of myself from the weekend. Ouch! lol! Hope, I feel better when I get that reading "me time" too. It's my favorite way to end the day. Good for you for doing yoga! I used to do that pretty regularly (pre-DD) and felt great. Hope, I agree. I value my reading time. Gift - More time with my children and family. We all live in different cities and two different states. My mom is 88 time is fleeting. Best wishes Loved your debut book! That's a wonderful wish, Laurie. I know how you feel. My parents are gone and my immediate family is scattered across four states and two continents. I don't get to see them nearly often enough but technology has helped ease that a great deal over the past few years. Still, it's not the same as that "in person" hug. Hope you get your's soon! Hi PJ, Theresa, and Andrea! Theresa, I haven't had the pleasure of reading one of your books yet, but they are on my TBR list. My DH has Stage 4 Lymphoma cancer, so my wish is for lots of time and a less worry. Cathy, my goodness--I hope you get those very important wishes. All the best to you and your DH. ((((Cathy)))) Sending prayers your way that your wish is granted. 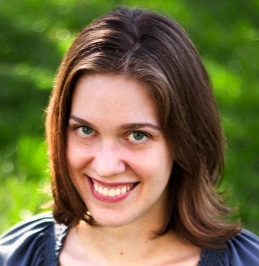 Hi, Theresa, and welcome back to TRD! We're delighted to have you here. Congrats on the release of SEASON FOR SURRENDER! I can't wait to read it...especially after you said: "SEASON FOR SURRENDER: the story of a whip-smart bookworm and a fake-rake earl." I love it!! Andrea, thanks for the warm welcome! Hope you enjoy SEASON FOR SURRENDER. :) And I hope your kids give you no cause to worry--for a while, at least! Patience, always patience! Thanks so much for your post and the giveaway. I look forward to reading your newest. Thanks, LSUReader! Wishing you patience too. And if you find a great source for it, please let me know! I am so excited to read SEASON FOR TEMPTATION. I love Theresa's novel. They're fabulous and she's so humorous. I love that in a novel! It is at the top of my Wish List! I couldn't help but read Cathy P.'s post above mine. Dear Cathy: My heart, my thoughts and my prayers are with you. Bless you both. Be sure to take every minute to be with your love and may you be blessed with a LOT of time. Best wishes to you. Connie, as long as we're wishing, you can wish for whatever you want! Too funny, two pairs of eyes. If it meant I could read twice as much, I might go for that too. Thanks so much for finding my books. Thanks for a great post and congrats on the newest release! Ha, Erin! I hear you. :) Thanks for the kind wishes! It looks like a great story. I could definitely use more organizational skills. It would make life so much easier. Maureen, that's a very handy thing to wish for! I used to watch those organizational shows on HGTV with a great sense of envy. It patience for me. I have lost mine I think. Everything gets on my last nerve. Quilt Lady, I lose patience the most when I don't get any time alone (yes, huge introvert here). Are you the same way? Hope you find lots of fun and relaxing pastimes this fall. I would wish for more time - with my husband and grandkids, especially, and to read more, too! I would love to have extra money. I would love to able to buy more books, clothes, purses, and shoes. In that order, lol. I think everyone wishes for that though. Big fan of your books. Thanks for the giveaway. I would wish for the ability to travel as much as I'd like - to see the world, and the courage to go alone if I had to, since I don't have anyone to travel with. If I ever hit the lottery, I'll be your travel companion! Congrats on the release of Season for Surrender, can't wait to read it! Theresa, thank you so much for being our special guest today. Best of luck with SEASON FOR SURRENDER. It's a gem! PJ, thanks so much for hosting me today. What fun! I'm so glad you liked SEASON FOR SURRENDER, too. Teresa, I can't wait to read this awesome sounding book! I have to say that I would be very selfish in my wish: I would wish for more health in my life. And not only for me but for my family who all worry for me as I see their pain for the issues that I have to deal with. More Jane Austen novels. I can't believe there are only 6!